Well, the thing is, when you paint with alcohol inks, a seriously strong alcohol concentrate is needed to lift the inks.So I thought… we do have apple pie moonshine! Alas, the bottle wasn’t open and I didn’t have the heart. But I thought about it! The adventure in alcohol ink continues as I find new inspirations online. I am realizing I need a couple of specific things for my arsenal, namely 91% rubbing alcohol instead of 70% and an ink fillable marker (who knew those existed! ), not to mention some drawing lessons but other than that I am so pleased that my peacock actually looks like a peacock somewhat! It started with an abstract background. And then with some lifting and adding, lifting and adding, I found a peacock in there! 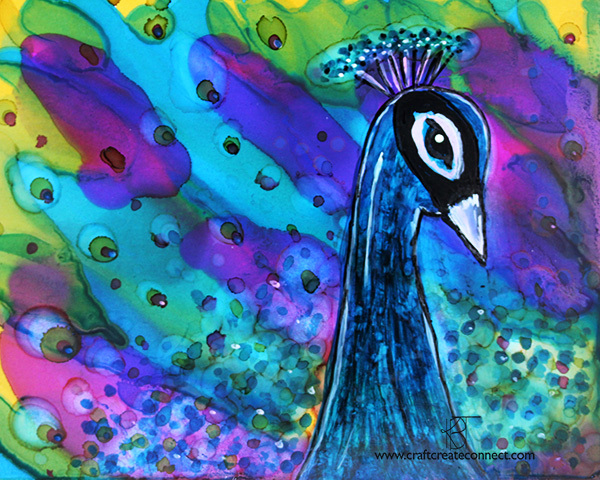 This guy was made with alcohol ink on Ranger glossy paper. Golden fluid acrylics and faber castel markers were used for the black and white on the image. I can’t believe I have done 22 images this month. It really is amazing and I find myself using skills learned on day 1 again and again. Just takes a little time each day… and a willingness to try! Ohhhh! Love this one Kim!! And, just in case you want to try, I have apple pie moonshine, opened with some left even, leftover from Blue Ridge weekend!! haha, wish I knew your craft, I would try it! xoxoxo, this is beautiful!! You totally can!!! The inks do so much magic themselves and you already know how to paint wonderfully! The tricks I have found in these 30 days… glossy non-pourous paper, q-tips and strong alcohol :). Wish I lived closer so we could play! Beautifully done! I’ve always loved alcohol ink paintings! Would love to learn! Peacock…beautiful! I have just started playing with acohol inks. Your work is now my inspiration. Aren’t you sweet!! 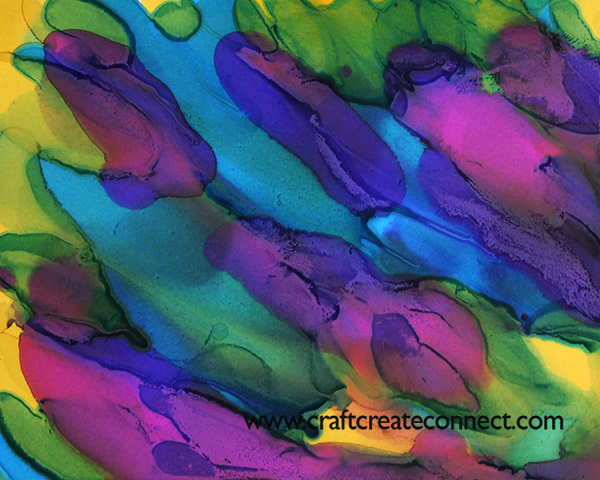 Alcohol ink is such a fun medium… so vibrant! Can’t wait to see what you create!